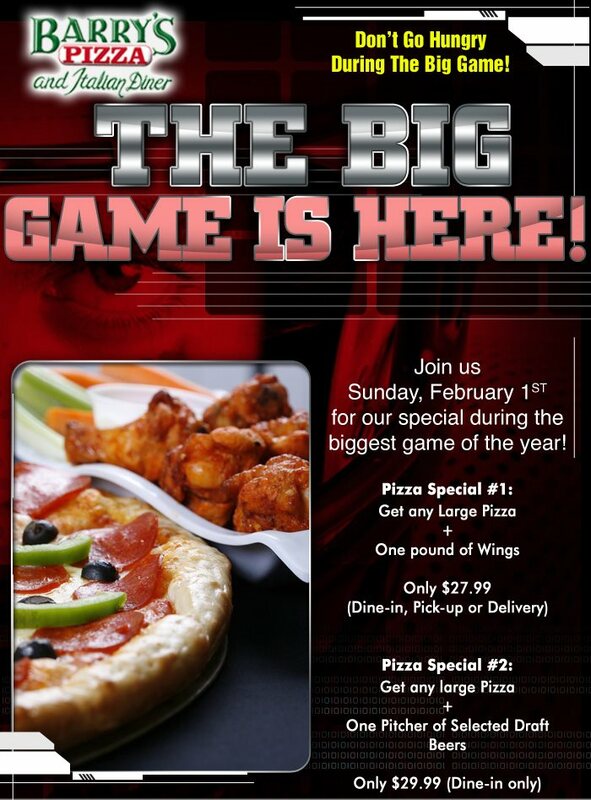 Let us make your Super Bowl Party a huge success! !GREAT PIZZA & WINGS!! NODIB!! No One Does It Better!!! NFL Playoffs are here!! 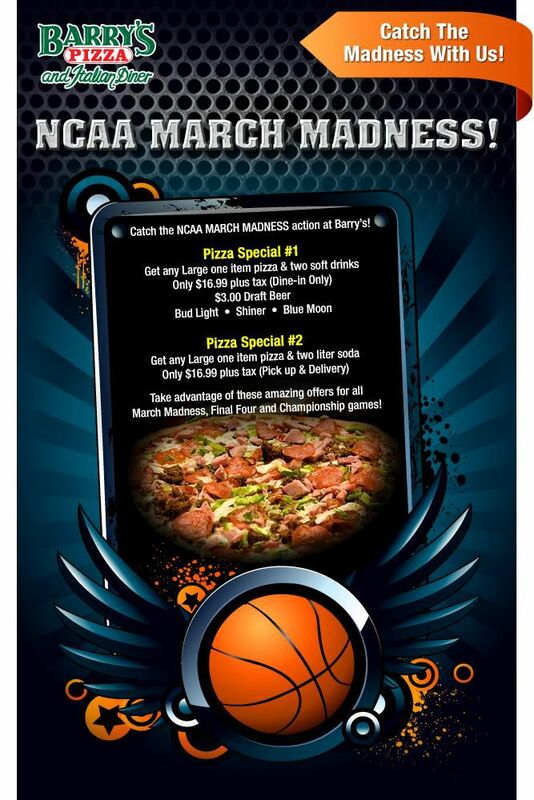 Come join us this weekend for the games & get in on our Pizza & Beer or Pizza & Wings Specials!! Watch the game at Barry's today at noon! Texans football + Barry's Pizza + your fav craft brew = a great Sunday afternoon! We love the Texans! Gooooooooooo ROCKETS! 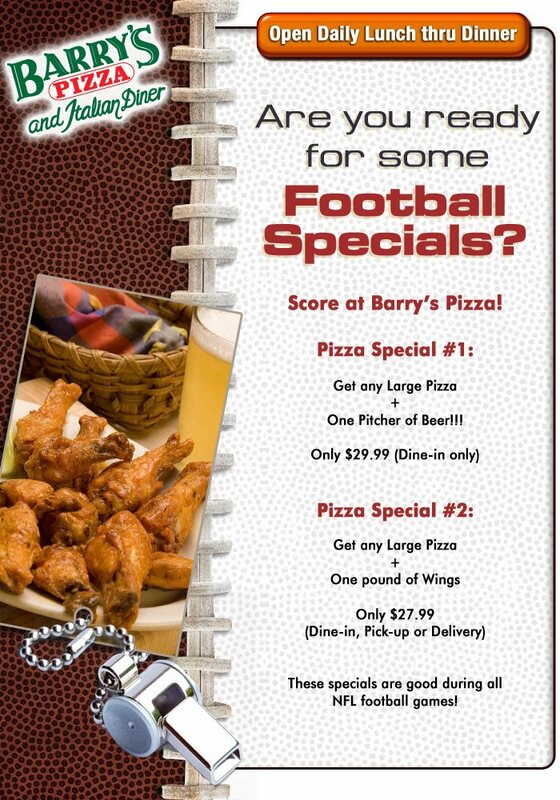 Come watch the game with us at Barry's tonight at 7pm. 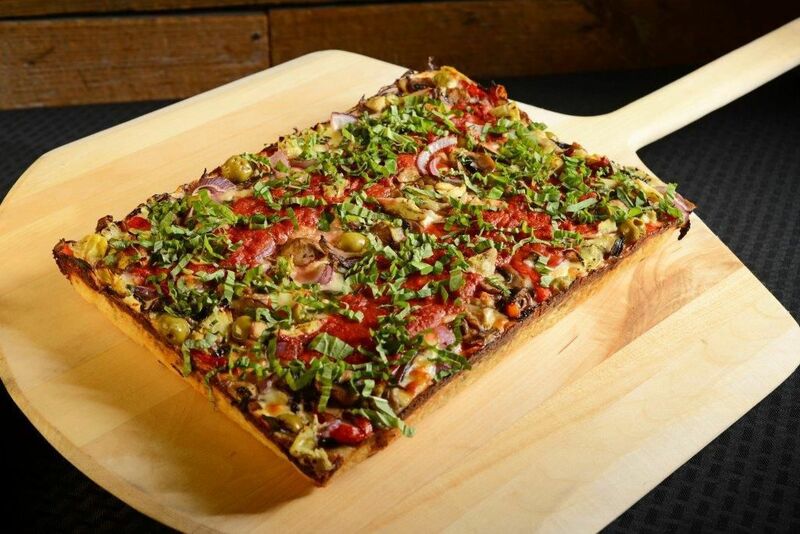 If you plan to catch it at home, call us and we will bring you the best pizza in town! Or come pick up dinner and a Growler of your favorite craft brew in time to catch tip off from the comfort of your couch. Ask for our curbside delivery when you call, and we will bring everything right out to you!